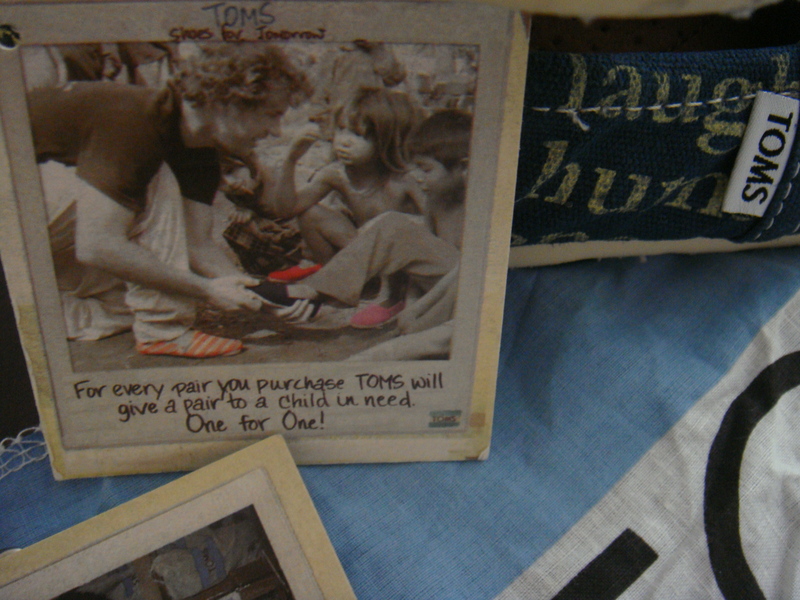 Toms shoes has an advocacy like no other. 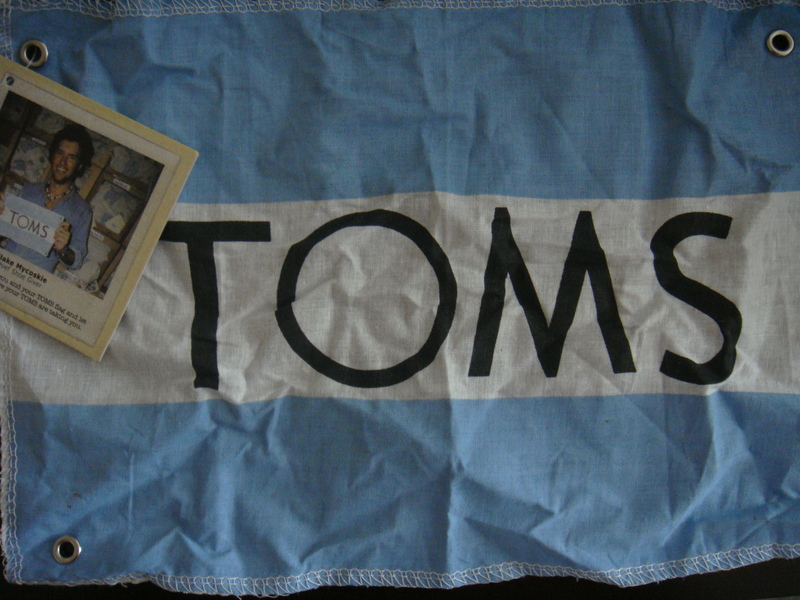 Their one for one movement: With every pair you purchase, TOMS will give a pair of new shoes to a child in need. 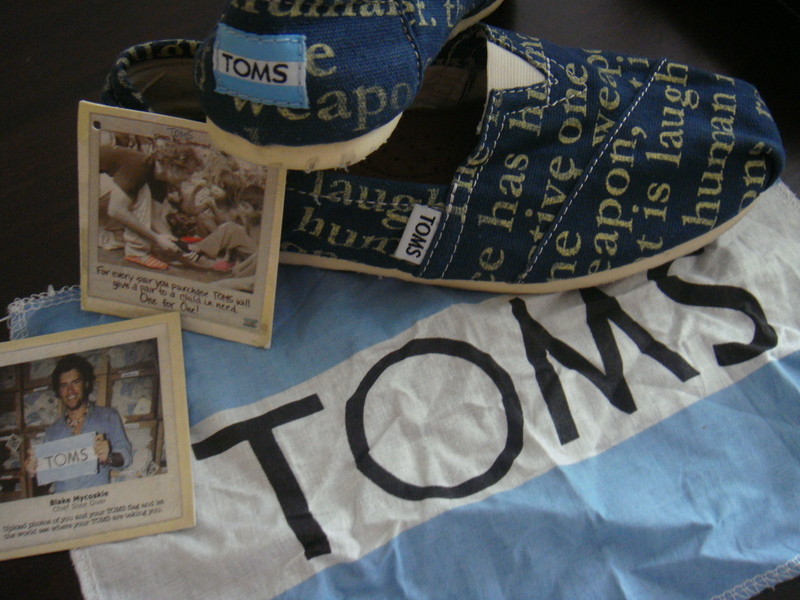 I for one am a fan of Toms shoes, not only because it’s comfortably fashionable but it’s movement has moved me that with every purchase I make, I become a benefactor and instrument in helping shoeless child. 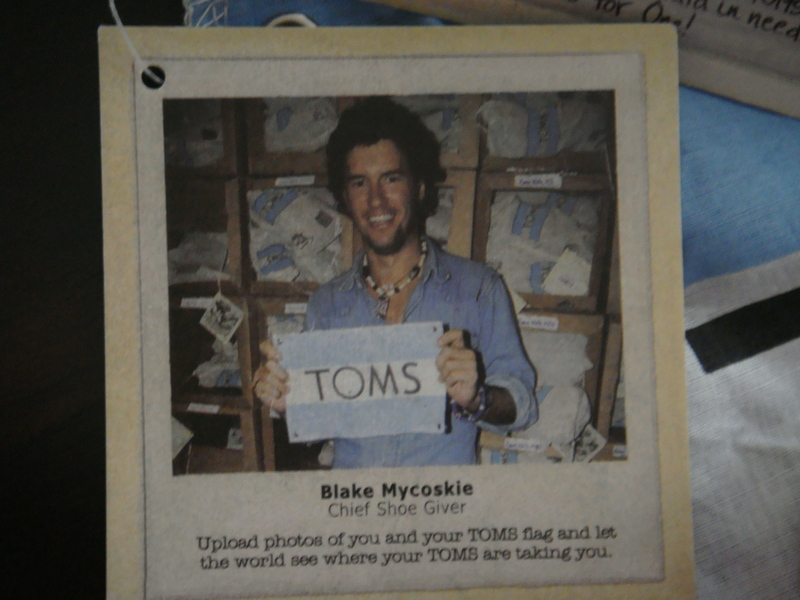 I love that you can use it everyday. 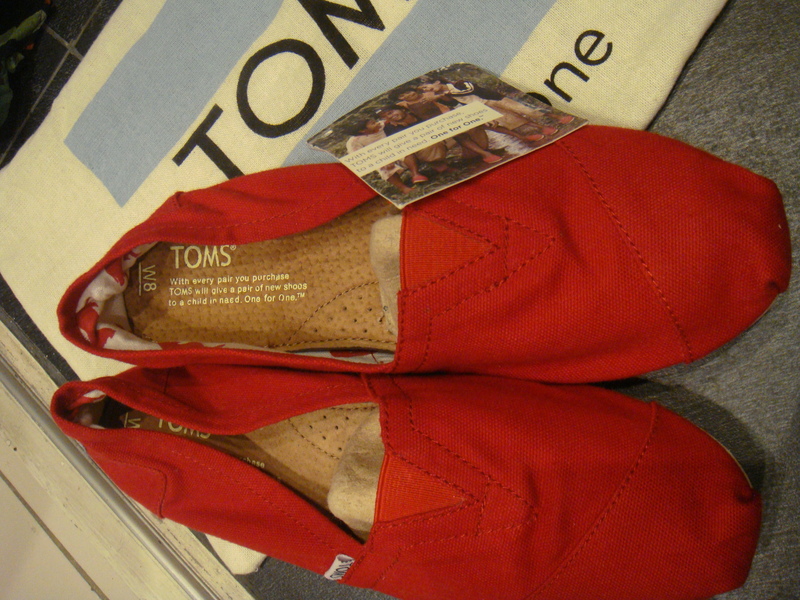 It’s so comfortable that you can use it for driving, walking or even a day full of errands. 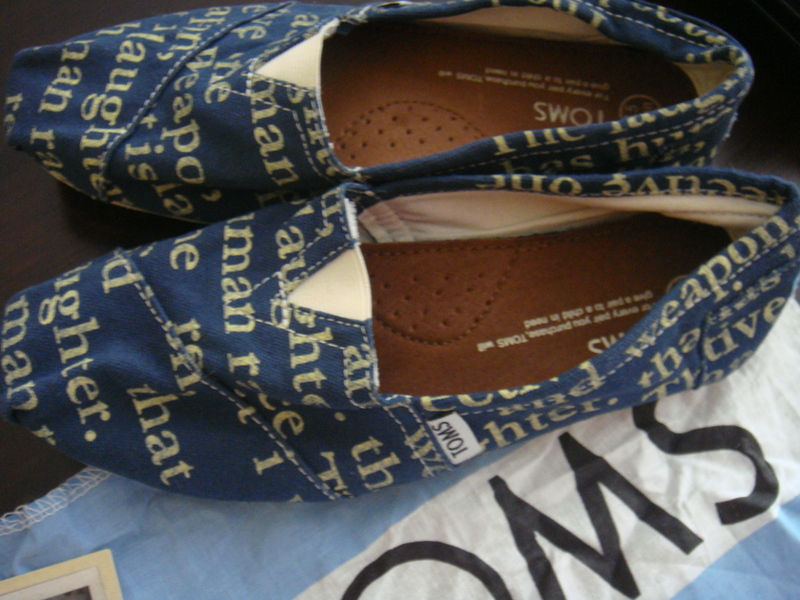 Few days before my birthday, my new pairs of Toms arrived 🙂 Yay!!! 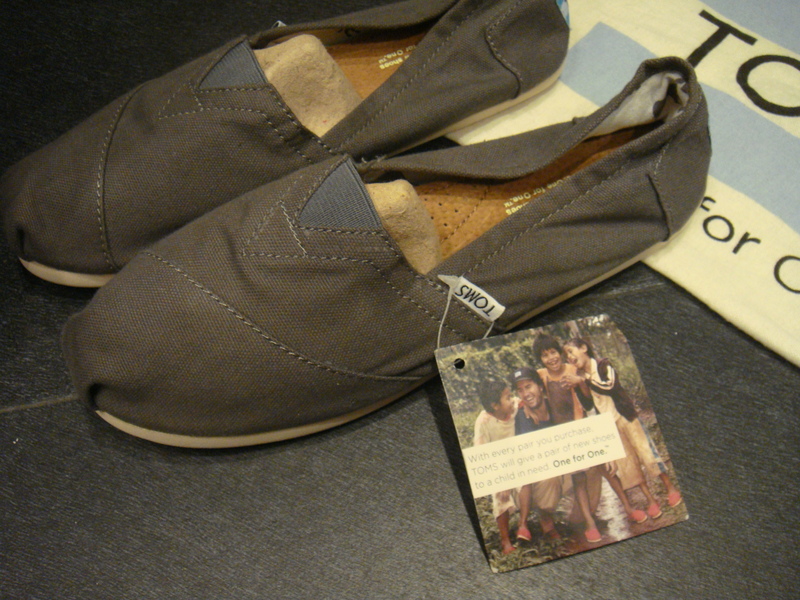 and click TOMS Shoes for their official website.